Today, I curled my hair to try a different look. 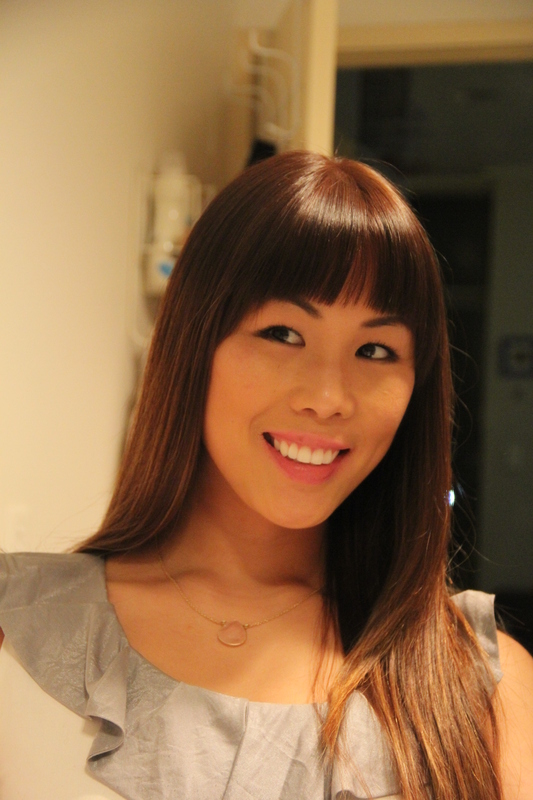 Since I got my bangs/fringe cut, my day-to-day hair styles have been straight and sharp. 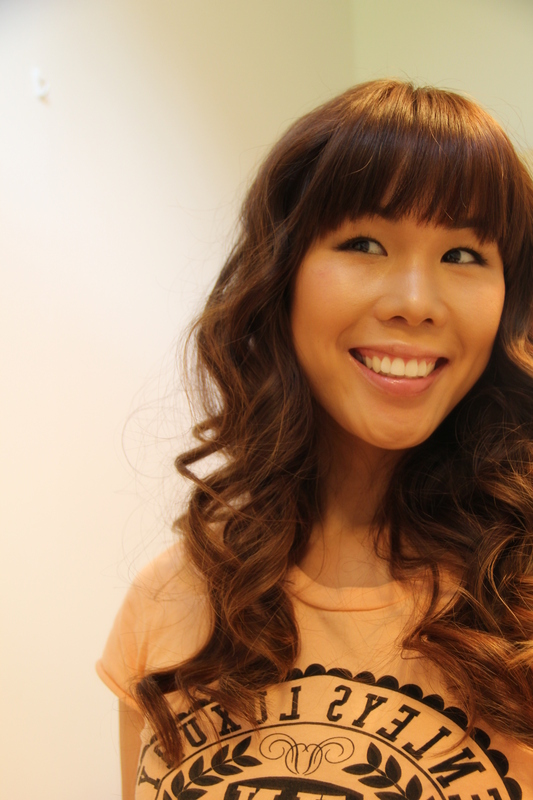 I thought I would try something a bit softer by using my curling iron to style some bouncy curls! 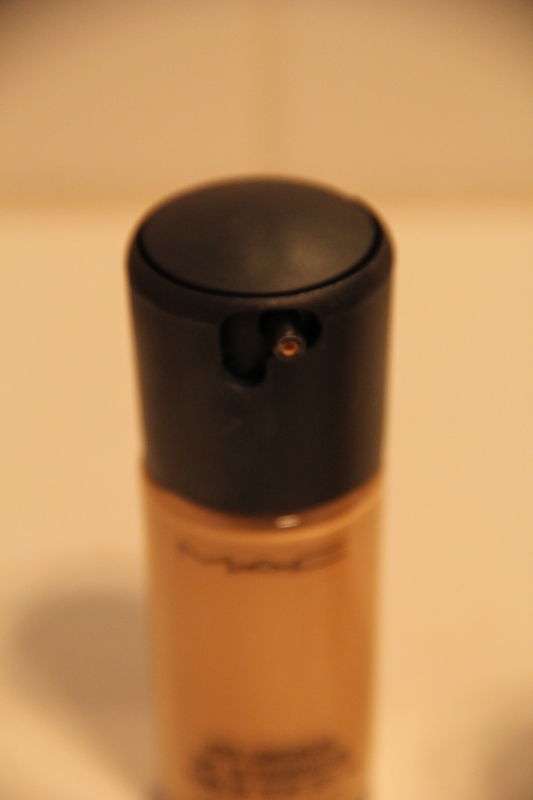 Over the weekend, I also picked up the MAC Pro Longwear foundation in a warmer colour NC35. I love it so much more than the shade of NC25 in the Studio Fix MAC Foundation that I was using before. I am getting a bit more sun and colour in my face now that the weather is warming up here, and the extra tan shades in the foundation just give me a healthy glow. I think the main difference I like is that the Pro Longwear is actually a much lighter consistency and looks less “cakey”. It also comes in a convenient pump which is not only more hygienic but also lets you pump out even the smallest amount of foundation so that you don’t accidentally pour out too much and waste it (done plenty of times before!). After years of trying various foundations (even premium brands) I am a firm believer in the quality of MAC’s liquid foundation and don’t use anything else! That’s just my opinion of course. Some quick snaps below of my straight hair with lighter foundation and the bouncy curls with tan foundation. Let me know whether you like the “Before” or “After”. Bouncy curls show off my highlights more. MAC Pro Longwear Foundation in shade NC35. My naturally straight hair and MAC Studio Fix Foundation in shade NC25. MAC Pro Longwear in NC35 with it’s cute little nozzle and top press pump. Love this light consistency foundation. I will wear it all Summer long!